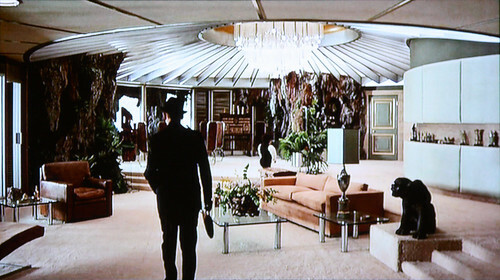 As usual, the villains have better decor than MI5. 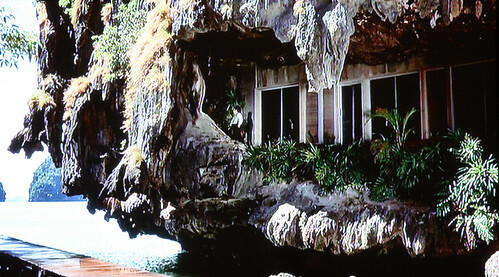 Here you’re seeing Scaramanga’s house, supposedly on an island off China (it’s actually in Khao Phing Kan in Thailand). Meanwhile, back in London everything is stuffy and ornate, which I suppose is comfortingly traditional to some but which I find slightly Hitlerian. 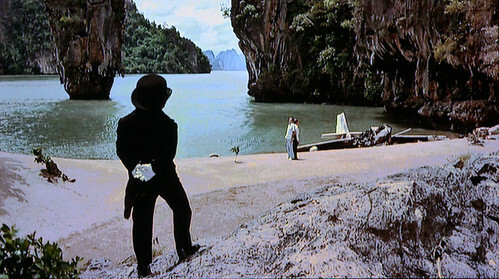 The film was shot in China, Hong Kong, Macau, Thailand, and London. 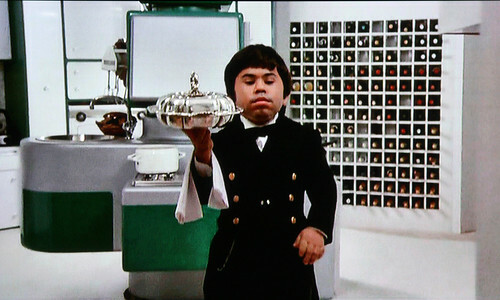 Above, the lowered, custom-designed modular kitchen of the short butler/henchman, Nick Nack (Herve Villechaize). 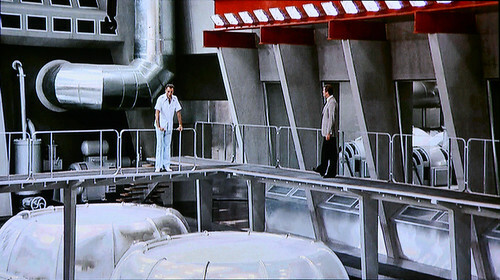 Below, the solar energy control room and plant on Scaramanga’s island. This entry was posted on Wednesday, October 27th, 2010 at 1:07 am	and is filed under architecture, design, favourite, green, interiors. You can follow any responses to this entry through the RSS 2.0 feed. You can leave a response, or trackback from your own site. 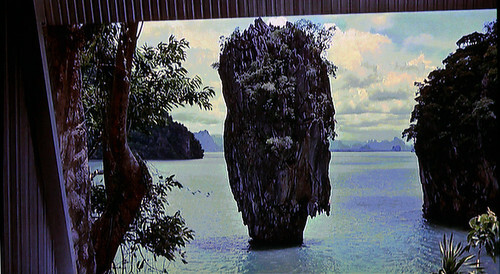 So cool- one of my favorites, if really just for Britt Ekland and James Bond Island (that’s what that loaf of rock goes by ever since, I watched this with Linda a few years ago and afterward she immediately got on ebay to find a Gucci bag like Britt had when she was thrown in the trunk of the flying car. 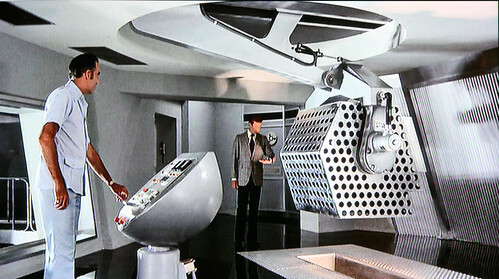 As you point out, it’s yet another example of Hollywood villains always having much cooler houses and offices than the good guys. Someone should write a thesis on this topic. 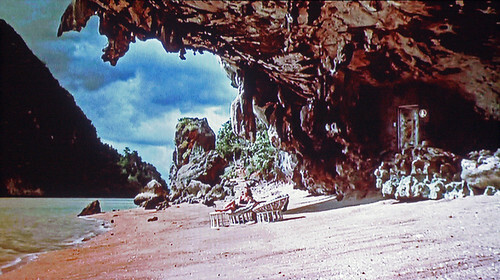 One of the worst Bond films along with LIVE AND LET DIE and DIE ANOTHER DIE, but the Thailand location and home are magnificent – one of the few good things about the film besides Chris Lee’s fine performance. 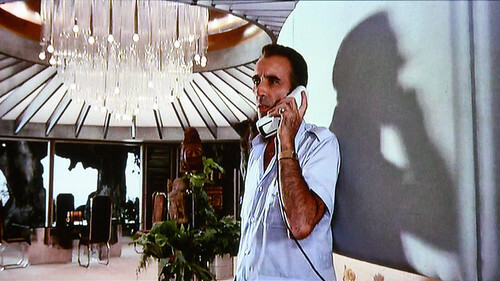 It is too bad Lee’s solid portrayal of Scaramanga is so wasted in this inferior effort, even John Barry’s score is his first less-than-superb job for a Bond film (with other even weaker scores to follow unfortunately). 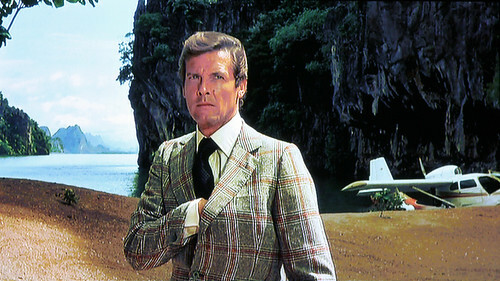 Roger Moore really brought the series down, he was too stuffy, too wooden, too pretty. Funny because he was great as The Saint on TV. 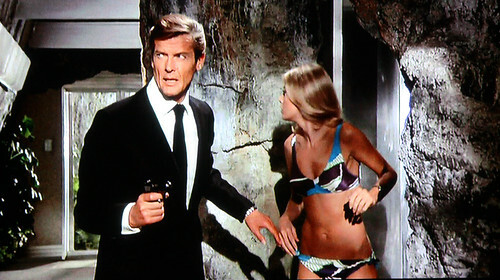 Anyhow, thank you for the frame grabs of the GOLDEN GUN location! Does anybody know who built and/or owns this place? I assume it is a real structure built into the rock. 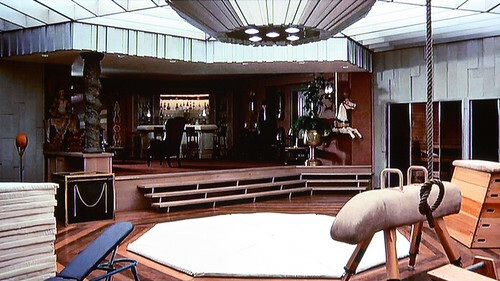 Hey does anyone know the actual location / name of the house where Scaramanga lived or is it just a set? ….. 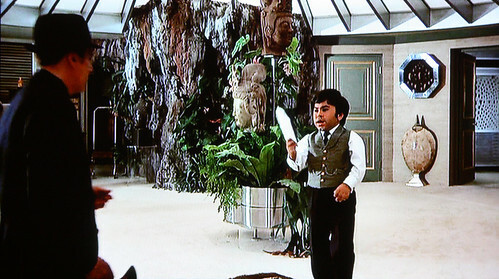 I loved what they did with the place where they have their dinner. 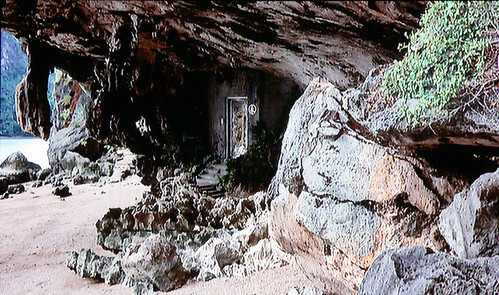 Since I was a boy (in the 80s) I always wondered about Scaramangas house and location. 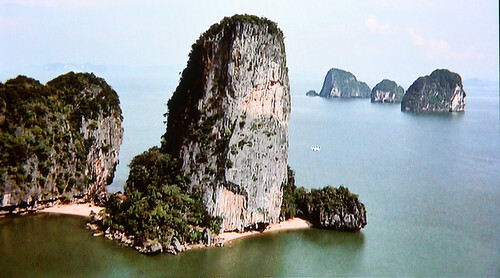 Since there is Internet it`s easy to find the location (Khao Phing Kan) but you can´t find anything about his house. Therefore I believe it must be a set and not a real house.